**NOTE: This item will ship separately. Please expect 8 days delivery time minimum. 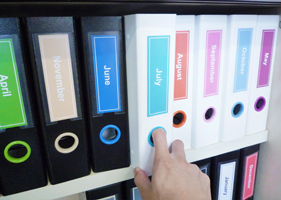 Indexing your binders into different color categories. Personalize and spice up your binder with the use of color rings and make it cool and exciting with the use of the free Keepfiling spine label templates. Combine and match the templates according to your imagination. Spice up your work place, make it a fun and exciting place to be at again. Easy to use. Pull out the old ring and insert the new into the Keepfiing binders spine. Multicolor: One ring each of the above mentioned colors. 12 Pieces per pack; One color per pack or multi color option with one ring of each color. Want to have colorful spine labels like the one you see in the picture? Download templates for FREE and start matching them with the new rings! These are simple and easy to use color rings that will help you get organized and look smart and professional in your work environment, may it be at home, school or at the office. Using these color plastic rings will make it easier for you to locate your binder and separate each binder into different categories by color coding them. For example you can index according to time of the year, Red being December a month of joy and celebration. Lime Green being Spring when everything is new and growing in the garden and so spring green. August could be Orange being hot and end of summer, etc. For baby planing pink could be for the girl and the light blue the boy so very traditional and original. For home schooling perhaps it would be a great idea to give each kid their own color, asking them to design their own matching in-stick label for the spine. Great project that make the kids take pride and be creative at the same time. It could also simply be to make your work environment stand out bit, spice it up with the matching spine label templates index according to subjects like: English, Geography, History, Math, Science, and etc. there are so many possibilities. 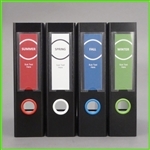 Come up with your own color coding system to organize your binders with the use of both our rings and spine label templates. Use our FREE templates to create colorful spine labels to match the new color rings. 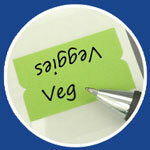 Download free spine label templates here. How you want to color index your binders is all up to you. You can easily personalize the in-stick labels by handwriting your own text onto the label or download the label template tabs as mentioned to turn it up a notch. There is a matching color ring. I received the binders and protector tabs and they were in great order. I doubled checked my shipment and the finger rings were not in the box. Davy, note the rings are shipped separately as indicated here on the page.